CULT TO OUR DARKEST PAST: WORSHIP VINYL: PESTILENCE Mallevs Maleficarvm & Consvming Impvlse Re-issued! 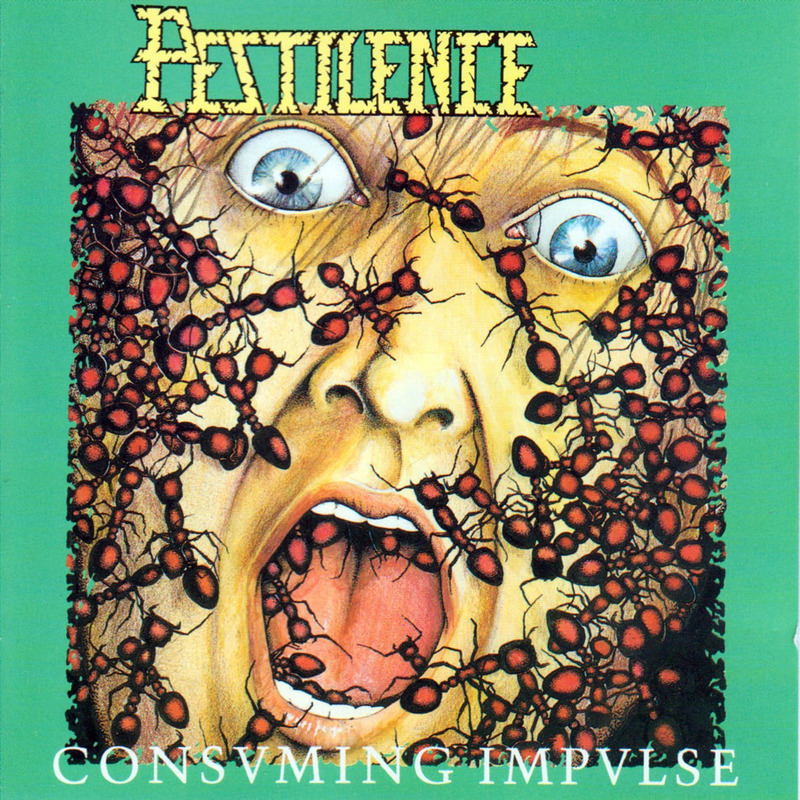 WORSHIP VINYL: PESTILENCE Mallevs Maleficarvm & Consvming Impvlse Re-issued! 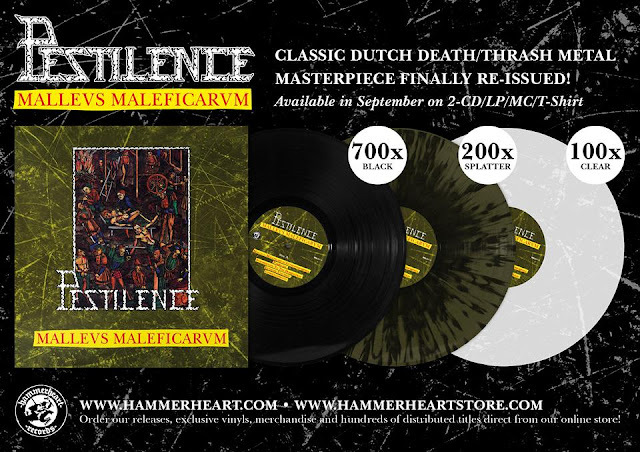 If the long wait for the new PESTILENCE album is too much for you, then this is good news, Hammerheart Records are about to reissue the band´s first two albums on vinyl (CD and digital too). The great 1989 debut album “Mallevs Maleficarvm” will come out will be available in September, while the killer second album “Consvming Impvlse” from 1989 will come out on Onctober. Both are great, amazing classic old school metal albums with monstrous riffs, speed, clean yet harsh sound and Martin Vand Drunen´s brutal voice. 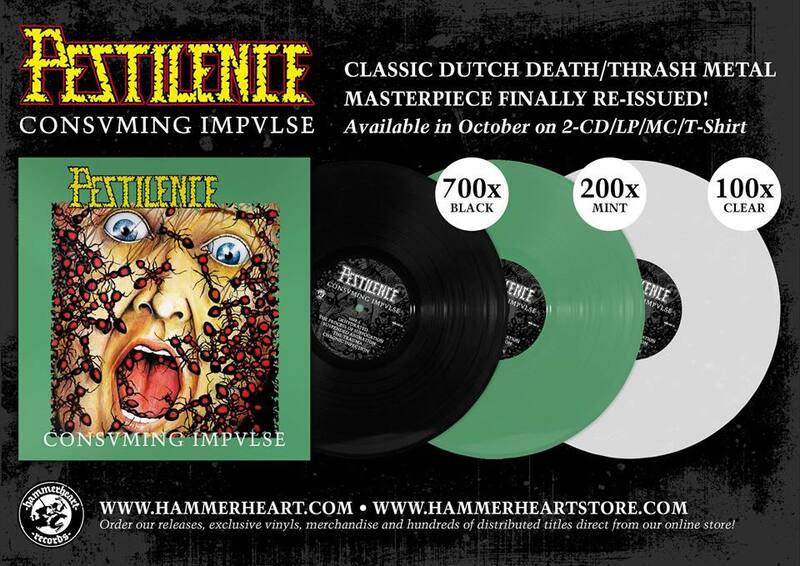 There will be different versions/colors available for this vinyl reissues (see flyers below). The only “bad” thing is that both are remastered versions, I´m sure that there will be many like me who would prefer the original sound. Oh and btw, never liked much the “Consvming Impvlse” cover artwork, don’t know if this release will feature somewhere the original cover, withdrawn and later used for the “Chronicles of Scourge” live album, though the red ants over that scared face became a classic.